Right to Information Act 2005 mandates timely response to citizen requests for government information. 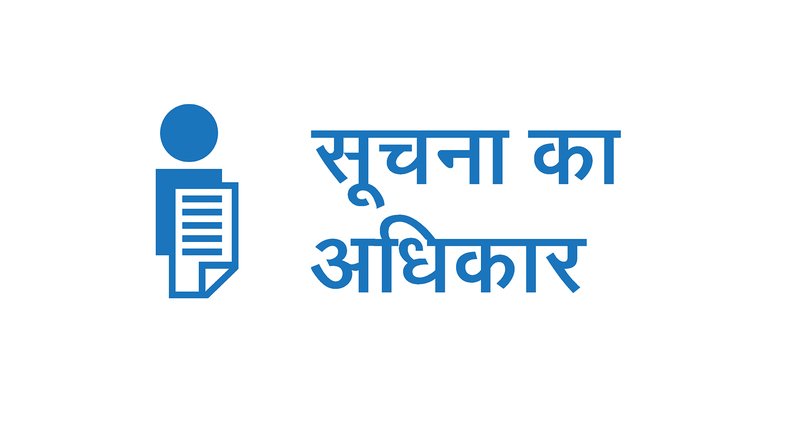 It is an initiative taken by Department of Personnel and Training, Ministry of Personnel, Public Grievances and Pensions to provide a– RTI Portal Gateway to the citizens for quick search of information on the details of first Appellate Authorities,PIOs etc. amongst others. Besides access to RTI related information / disclosures published on the web by various Public Authorities under the government of India as well as the State Governments. Public Authority is under the obligation to provide information within 30 days form the date of request in normal cases or within 48 hours if information is a matter of life or liberty of a person. The right to Inspection of work, document records Taking notes, extracts, or certified copies of documents or records; Taking certified samples of material. PIO/APIO may seek the assistance of ANY OTHER OFFICER and this officer for the purpose of contravention of the provisions of this act shall be treated as a PIO/APIO. The charges for applications are as under:1. 1. Application Fee under R.T.I. Act is Rs. 10 through I.P.O. of Bank Draft. 2. Copying fee under R.T.I. Act is Rs. 2/-(Rs. Two) per copy through I.P.O., Bank Draft or Cash.